Suddenly, the Apollo 13 spaceship swung from a moon-bound landing to a crashed ship. Today, we know that NASA are very concerned about the security of astronauts in the space, instantly working on innovations, while the case of Apollo 13 showed how dangerous their work in an open space is. As for the crew of Apollo 13, Jack Swigert was the backup command module pilot. He was 38 years old and included into the crew only 2 days before the launch of Apollo 13, because Ken Mattingly was admittedly exposed to measles. Mattingly had no immunity against measles, so NASA doctors decided to leave him on Earth. Jim Lovell was the only astronaut in the world to have 4 space flights as an experience. In total, he was 572 hours of flights on the spaceship. He was a part of Apollo 8 mission and also piloted two Gemini missions, as well as 14 days one. The third member of the team was Fred Haise, who was a new one in the space, but was a backup pilot in Apollo 8 and 11. All the members of the team were on tests before the flight. It means they were trained to tackle different problems that may appear during mission. Apparently, their experience was indispensable for the flight of Apollo 13. 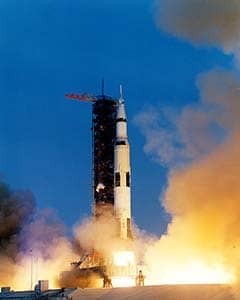 Apollo 13 spaceship consisted of two independent parts - orbiter Odyssey, and lunar module Aquarius.-connected by a tunnel. The crew members lived in an Odyssey part. 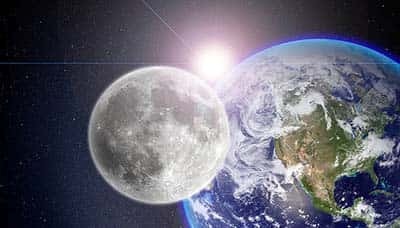 On the April, 13th when the spaceship was 200,000 miles away from our planet and quite close to the Moon, Sy Liebergot - the controller of the mission detected a warning of low-pressure signal on Odyssey's hydrogen tank. The warning signal could have meant a trouble, or meant that hydrogen simply needed to be transferred by heating and ventilating inside the tank. The name of this process is called "cryo stir," and should have stopped gas dividing into layers. Swigert turned the switch for a regular action. However, a second later the ship was shaking and the crew was overwhelmed. 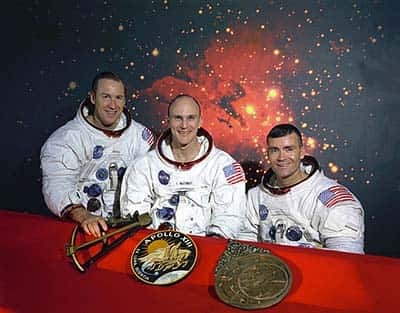 The crew instantly let the base know that the problem occurred by Swigert saying a legendary phrase "Houston, we've had a problem." Later, in 1995's movie "Apollo 13" the phrase was changed into a Present Simple tense and in movie the main who said it was Commander Lowell, instead of Swigert in reality. 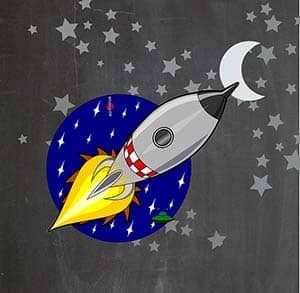 There are amazing Moon facts for children! For example: What is the size of the Moon? Who was the first person to walk on it? Why there is only one side that we see and many other facts.